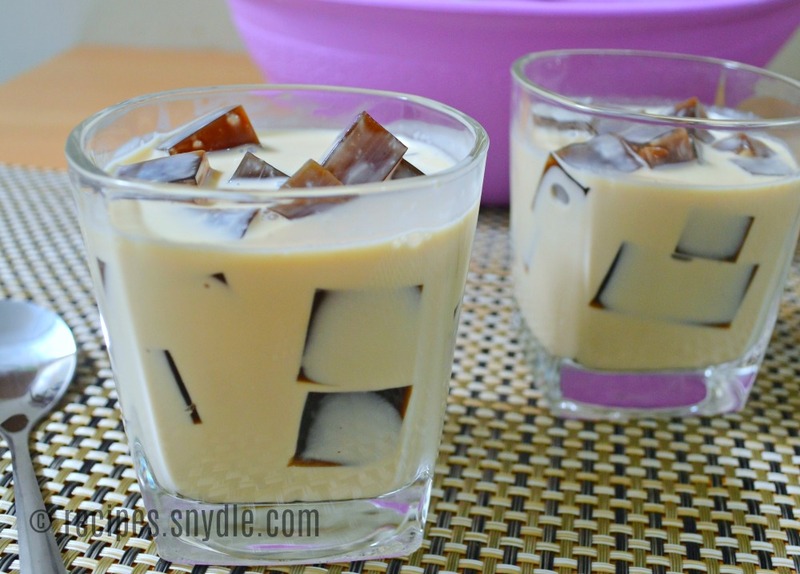 Coffee jelly recipe made easy here. Feeling sleepy? Need Energy? Lots of paper works and don’t have time to sleep? Grab this amazing coffee jelly that keeps you alive from head to toe, from all your veins and from your whole soul. This dessert is full of energy and has stimulating ingredients that has a special role in our daily life. It can probably help you from your entire works. Other drinks a hot cup of coffee, but this jellylike coffee is a very different one to consume coffee. It’s a bunch of cube jellies filled with condensed milk and cream. After putting in a refrigerator, it’s now ready to enjoy its cooling feature that relaxes stressful bodies and change hell weeks into heavenly weeks. I know there’s a lot of things to do on my desk, but I didn’t mind that instances because I have this coffee jelly that keeps entertaining me from my worries and stresses. It’s simply the strong caffeine of coffee that keeps you awake and the glucose in a sugar that keeps you from unstoppable energy. 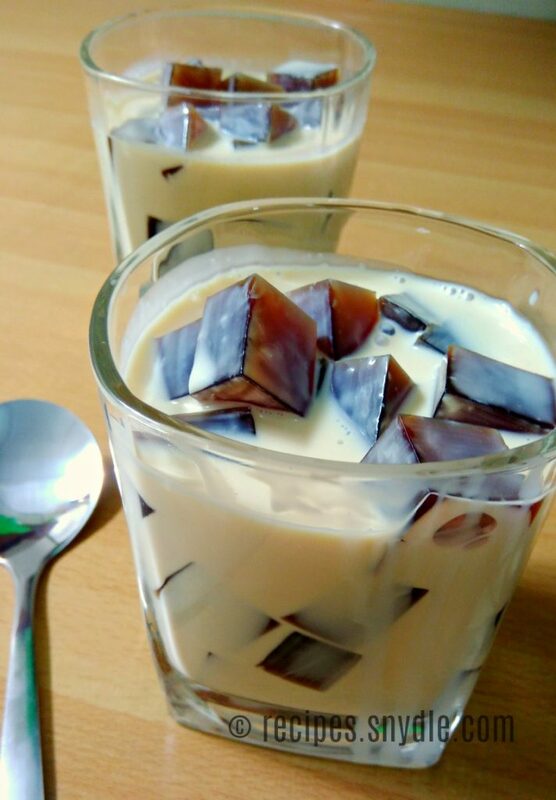 That’s the main purpose of this dessert and there are lot of benefits and advantages you can enjoy with coffee jelly. But I’m reminding you to have a limit on yourself from taking in too much caffeine. So, how do we make it? 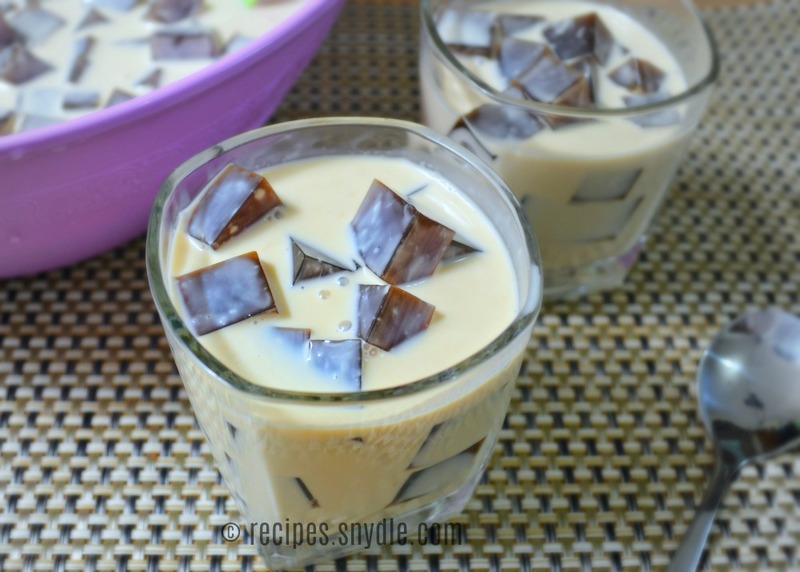 Simply, just follow my recipe and surely you can make a very awesome taste of your coffee jelly. Just let me know if you have any idea that can make this coffee jelly more exciting to consume. Put water, together with Mr. Gulaman and sugar, in a casserole. Keep stirring it until dissolved. Turn on the heat and keep stirring until the water is boiling. Add coffee powder. Pour into a container let it cool down. A tray can allow the jelly cool faster and easy to be sliced in desired shape. Slice the jelly into cubes. In a mixing bowl, combine condensed milk and all-purpose cream. Add in the jelly cubes. Put water, together with Mr. Gulaman and sugar, in a casserole. Keep stirring until dissolved. Turn on the heat and keep stirring until the water is boiling. In a mixing bowl, combine condensed milk and all-purpose cream. Add in the jelly cubes. Chill for at least 3 hours. Thanks for reading. 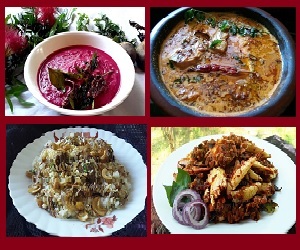 If you have any kind of suggestions or comments or any questions, just let me know and I will answer your queries. Again, thank you for stopping by.